Just a few decades ago, almost all the territory of modern Arab Emirates was mainly a desert. Today, it has changed beyond recognition – oasis of glass and concrete sprang up in the endless sands. In an attempt to stand out among the mates, Sheikhs are trying to build taller and more expensive constructions, and this race has led to the fact that it is in the East where you can see the most luxurious skyscrapers in the world. Admittedly, the most majestic of them is Burj Khalifa or Dubai Tower. 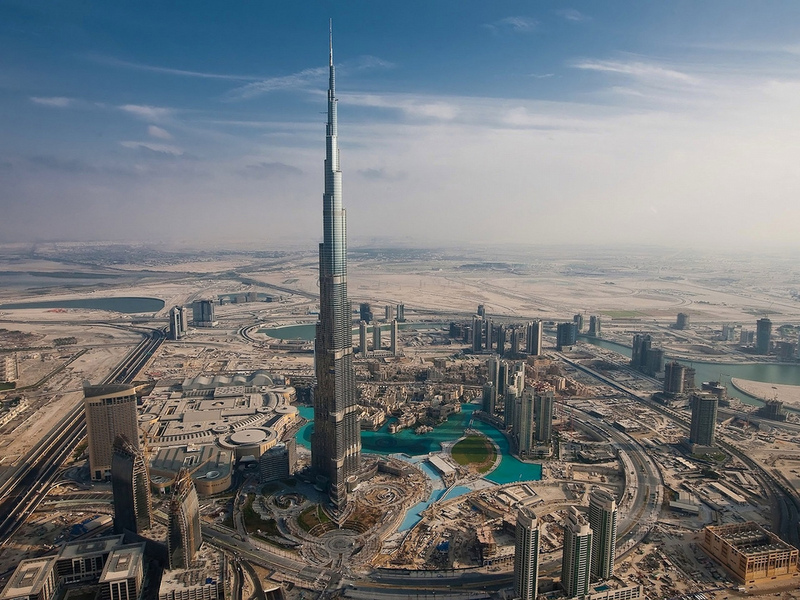 Its striking characteristics are: height of 828 meters, 163 floors, and a budget of half a billion dollars. This miracle was being erected for five and a half years; the height of the tower was kept in secret until its very opening. The project was developed in such a way that if someone announced the construction of a rival skyscraper, the architects immediately could increase the number of floors... The creators won the game, and today the Burj Khalifa remains the tallest building in the world. But Dubai Tower has many other less notable advantages. For instance, it has its own specially designed cement with ice, which copes with the Arab heat. Skyscraper walls contain cooling membranes and air fresheners with unique fragrance. And elevators lift up visitors to their destinations with velocity of 18 meters per second – as quickly as nowhere else. However, Saudi Arabia was the first to launch a challenge in architectural race against the West. Back in the 90s they started to grow glass skyscrapers there. 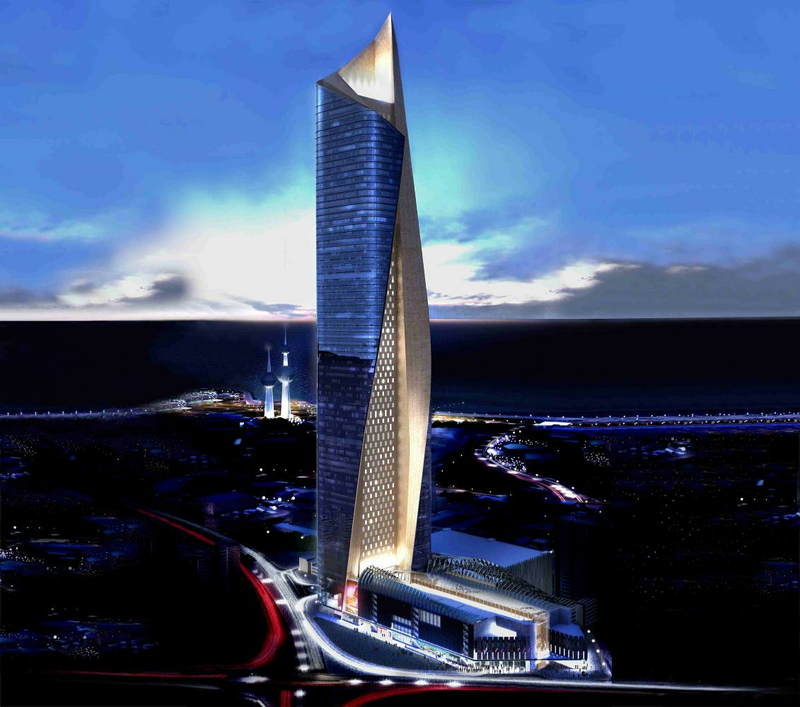 One of the relatively old projects is the skyscraper Burj Al-Mamlaka or Kingdom Centre. Opened in 2002, it won many awards for its amazing design. Externally the structure resembles a piece of jewelry, but the main advantage of its stuffing is an observatory which is located at an altitude of 297 meters. Nothing like that you can find in any other part of the Globe. Next Arabic record breaker is only a project so far. 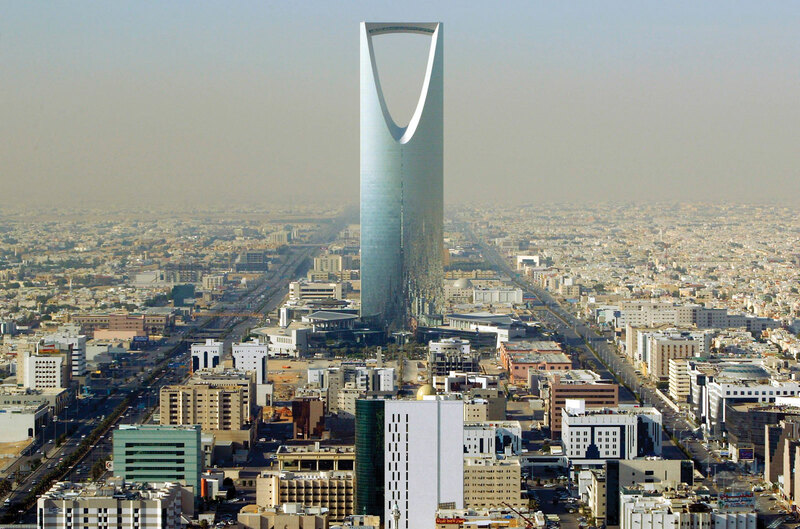 Supporting the trend for height, Saudi Arabia has ambitions to grow a high-rise building of 1001 meters. Such a giant should surpass all existing ones, including Burj Khalifa. Construction budget is 20 billion USD, it also includes the creation of a satellite town. Kingdom Tower (that’s the name of potential giant) is promised to see the world in 2019. In the meantime, the king of the Arabian desert can only be imagined, like hero of the Arabian Nights.